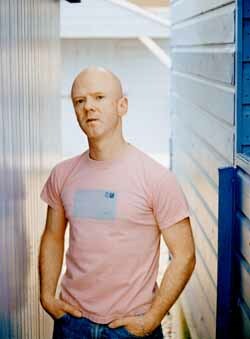 Today is Jimmy Somerville's birthday. Since he first came to fame with Bronski Beat back in 1983 he has always been one of my most favourite pop stars and personal heroes. In the 1980s singers like Jimmy and Andy Bell from Erasure were out and proud for all of their fans who hadn't or couldn't reach that stage yet. I know pop music kept me sane when I was growing up but singers like Jimmy Somerville promised me that I wasn't the only one in the world. I used to not like Smalltown Town for years because it was too close to the bone. It would be the 1990s before I even met another gay guy but back in 1983 that song had such an effect on me. It made me think and question and wonder. I know other gay music fans; male, female and transgendered must have had their own relationship with that song when they first heard it too. It is just a great and powerful and beautiful song. It is our song that over time has become everyone's. Jimmy has covered many songs both with Bronski Beat and The Communards and as a solo artist. In 2009 he recorded an album called Suddenly Last Summer which featured his versions of songs by other artists. It was first released only digitally and later a number of limited editions were released. I remember that fellow pop blogger David McDonagh loved that album on his blog David's Daily Dramas. That kindred spirit in Brighton always loves the best music. David's blog post on Jimmy and the Suddenly Last Summer album is here. Looking at the list of songs that Jimmy covered you can see that we as gay men are universally drawn to the same wonderful songs and singers. On that album Jimmy covered songs by Blondie, The Doors, Dusty and the song I'm featuring on this post which dates back to at least 1915. It is Jimmy's cover of Black is the Colour (Of My True Love's Hair). It has been recorded by many different artists over the past 100 years including Nina Simone. Luka Bloom does a lovely version of it too. I like that it is a song that no one really knows if it was first sung to a man or a woman and that is what makes every interpretation special. So on his birthday today here is Jimmy Somerville and a very beautiful cover of Black is the Colour (Of My True Love's Hair). 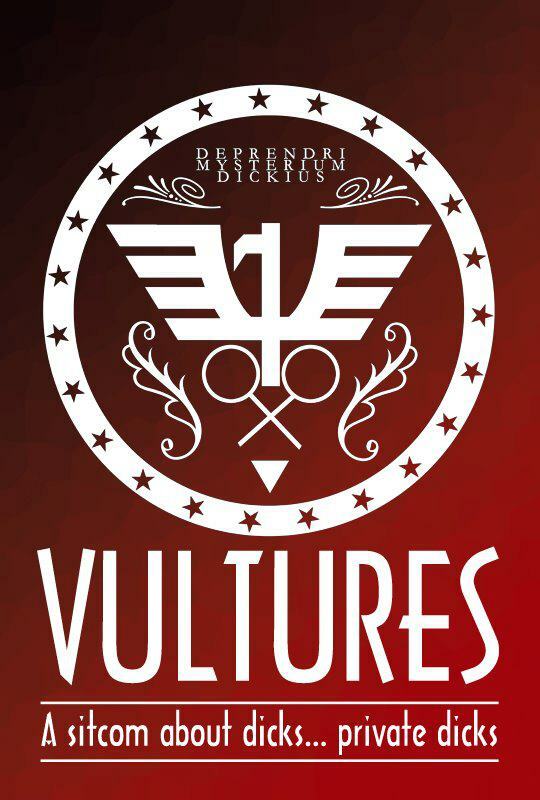 Vultures PI is an on line comedy detective series that is based and filmed in my home county of Kilkenny here in Ireland. There has already been a full first series which featured seven episodes including a pilot. All of the episodes have been developed in Kilkenny and filmed on location throughout town. The second episode of the second series has just been released on line and it's entitled The Lost Lunch Of Niall Tennyson. The first series centred on the three main detective characters; Jim Vultour (John Morton) Dan McGrain (David Thompson) and Niall Tennyson (Sean Hackett). In each episode there is a specific storyline which can be watched as stand alone shows. Throughout the series secondary characters were introduced. Recently the trio were joined by Janine Drew (Suzanne O'Brien) who is like a foul mouthed Daphne from Scooby Doo. In the first episode of the new series Vultour, McGrain and Tennyson have become unemployed detectives and the episode concentrated on Janine's documentary on them. In the latest episode; The Lost Lunch of Niall Tennyson one of the original detectives Tennyson begins a detective course on a government sponsored FAS course. Two of the tutors are Vultour and McGrain and it puts the three characters more centre stage again. Janine does feature but I thought her character was funnier and works better in this episode. What I thought was very effective is that many of the recognisable secondary characters all feature as the main action of the episode is centred in a class room environment. The interactions between them all is great especially those scenes that feature the characters of Jack Street (Ross Costigan), Noah Hennessy (Gus McDonagh) and Tom Moriarty (Stephen Colfer). The episode was directed by Peter McGann and was written by John Morton. The premise of the storyline is exactly what it says in the title but I love what Morton's script and the various actors do with it all. I watched the new episode when it went on line yesterday and when I watched it again today I noticed brilliant little details such as the Dickin' around for Beginners written on the flipchart, the little stash of sweets and the candy cane on the desk in front of Jack Street, the fact his name sticker is upside down, the tub of Brylcreem in front of Moriarty and the fact that Janine's brother is named Ronnie. When I was growing up in Kilkenny light years ago in the 1970s and 1980s there was sport or...sport. There was always arts in Kilkenny through the Kilkenny Arts Week in August every year but until recent years I don't think everyone in Kilkenny connected to it. What I love now is that I associate Kilkenny with all sorts of creativity in relation to film, theatre and art and Vultures PI is completely part of that. Here are both episodes of series two of Vultures PI. The first is Janine Drew Presents Where Have All The Good Dicks Gone. and the most recent episode The Lost Lunch of Niall Tennyson. You can also view the episodes on their ITunes page for free here.